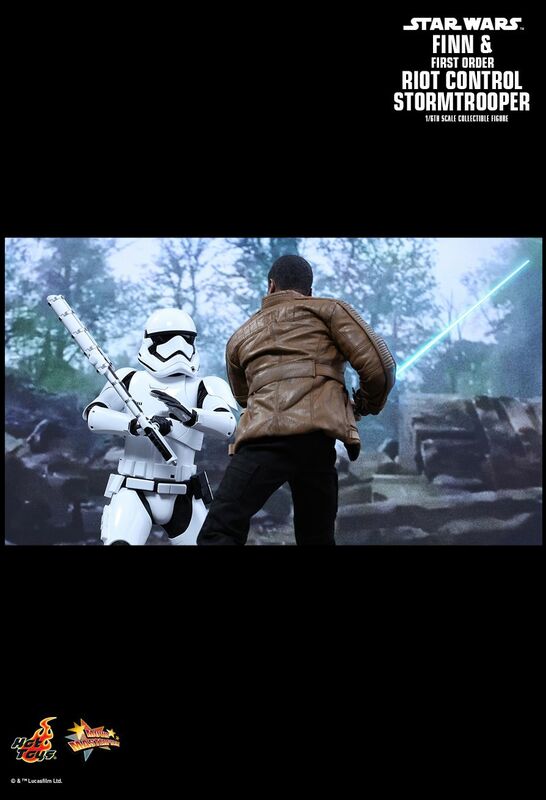 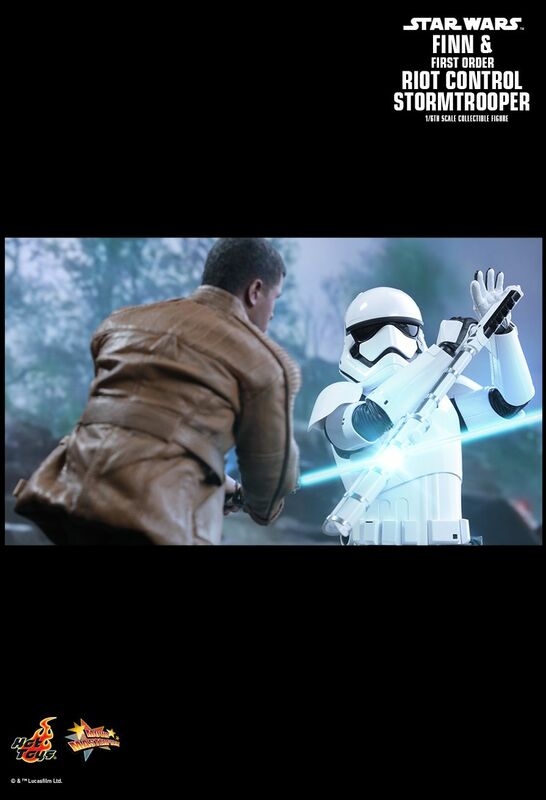 One of the most attention-grabbing moments in promotion videos of Star Wars: The Force Awakens was the duel between the lightsaber-wielding Finn and the baton-wielding First Order Riot Control Stormtrooper. 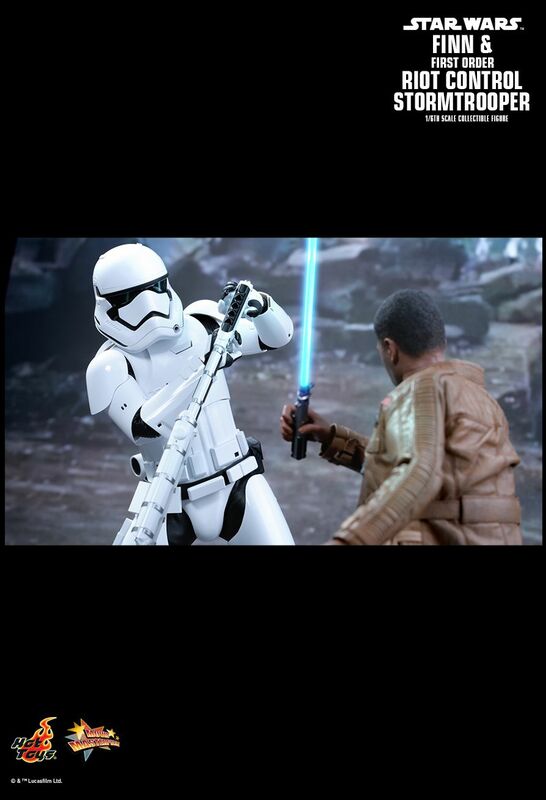 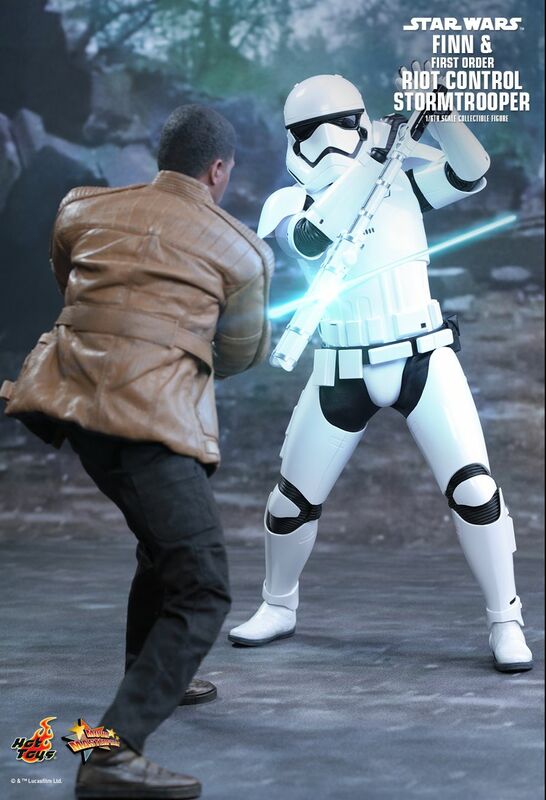 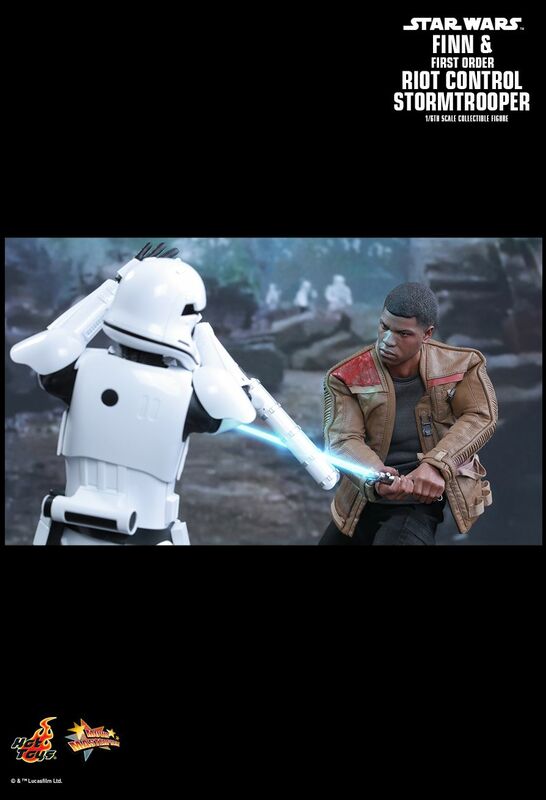 Now with the epic blockbuster already hitting theatres around the world, Star Wars fans can fully enjoy this exciting fight between the renegade First Order Stormtrooper Finn and the Riot Control Stormtrooper on the planet of Takodana. 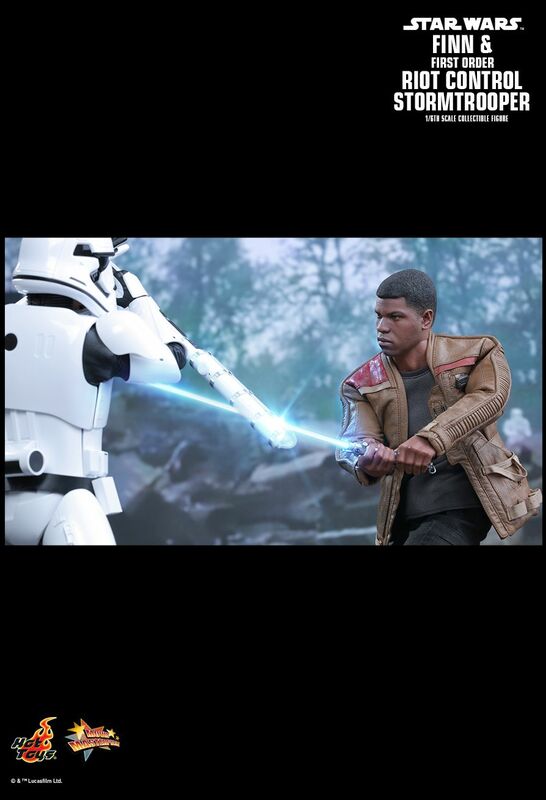 Today, Hot Toys is very excited to officially present a special 1/6th scale collectible figures set featuring Finn and First Order Riot Control Stormtrooper to let fans reenact this thrilling battle! 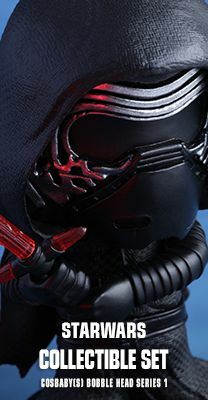 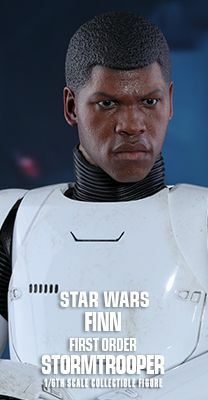 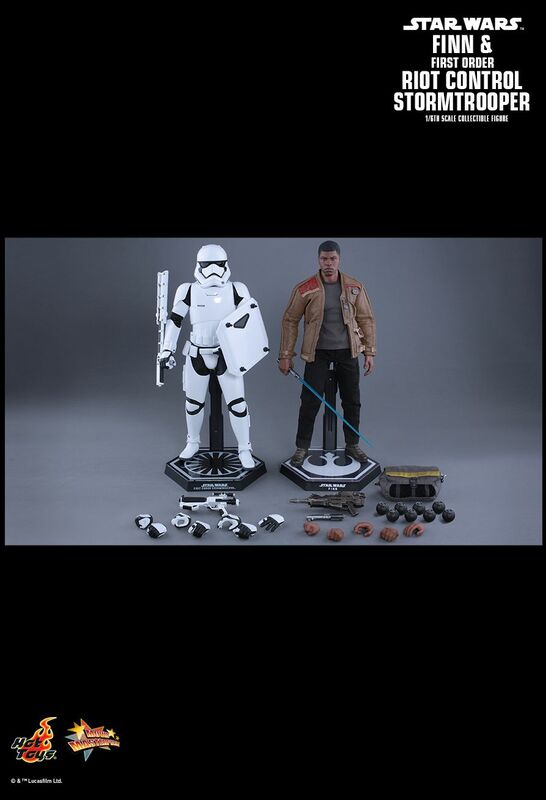 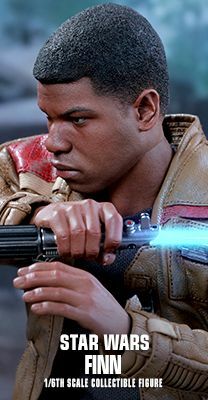 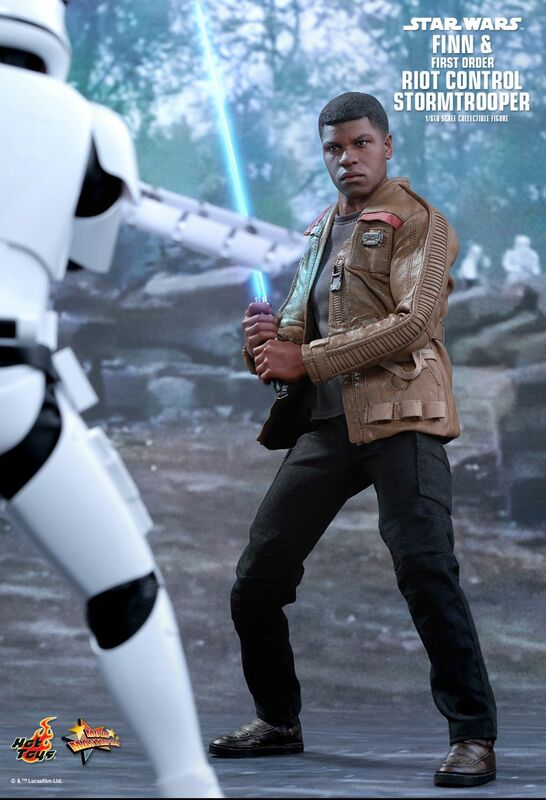 The highly-accurate Finn 1/6th scale collectible figure is specially crafted based on the image of John Boyega in the film featuring a newly developed head sculpt, finely tailored outfit, LED light-up lightsaber, detailed weapons, and a hexagonal figure stand with the Resistance’s emblem. 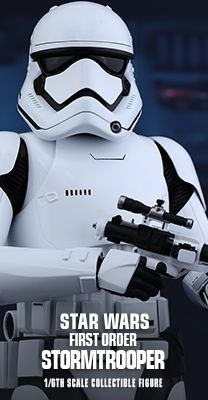 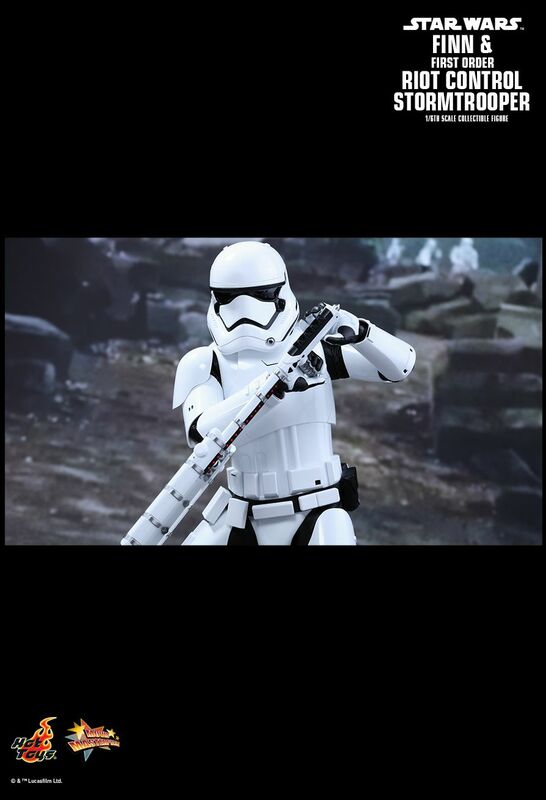 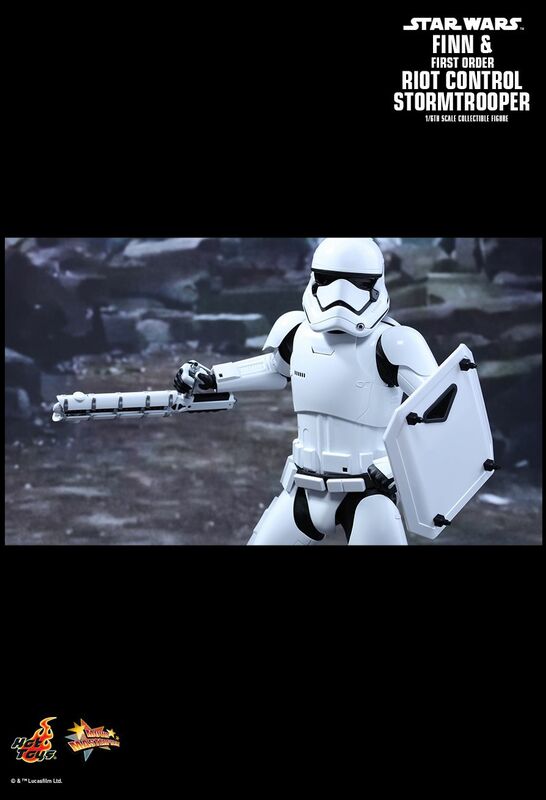 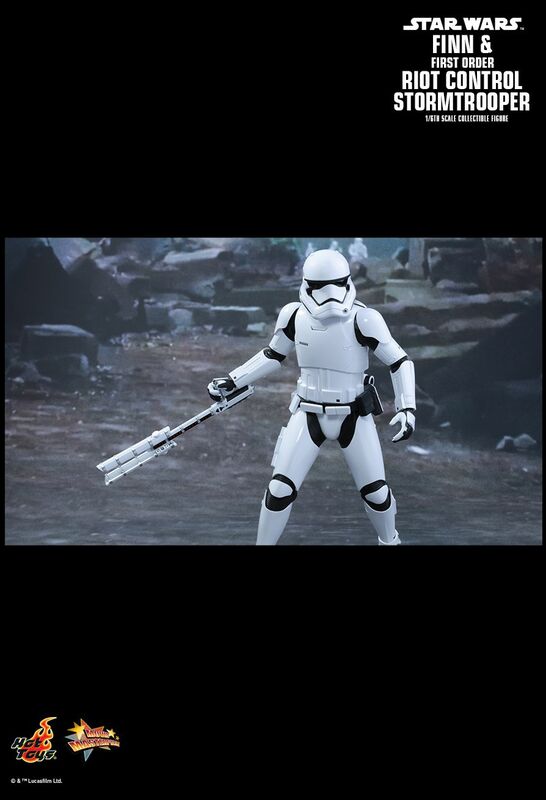 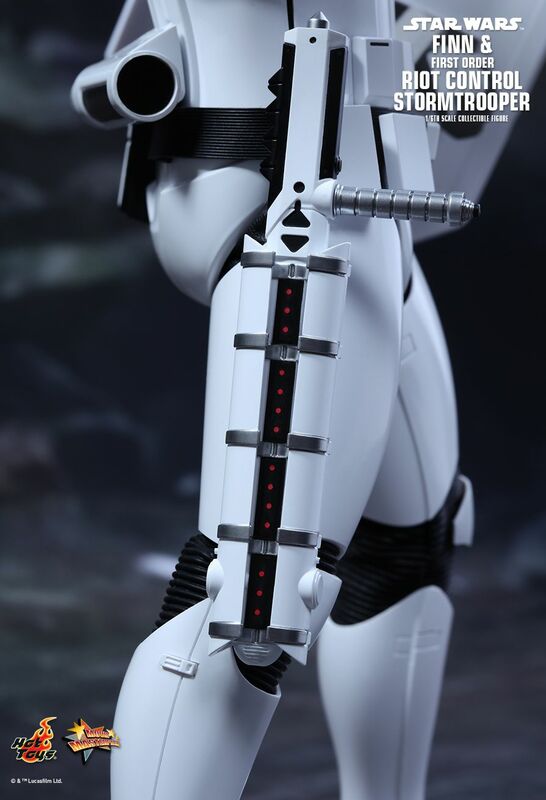 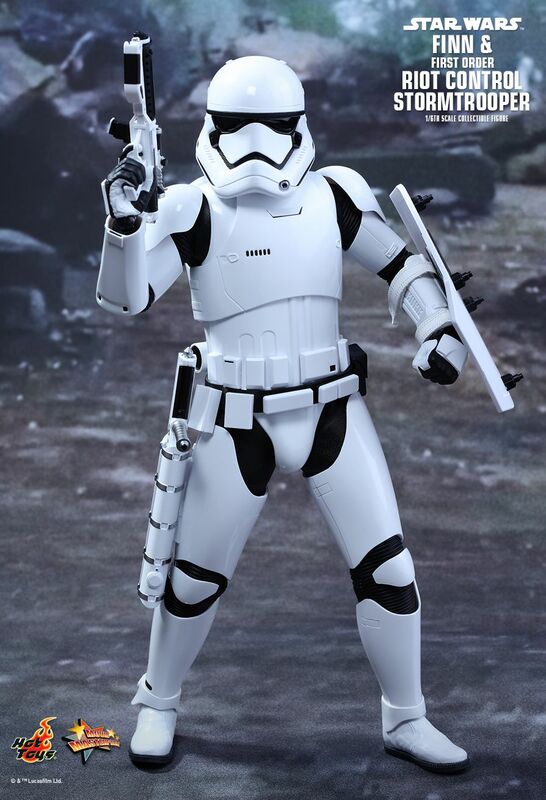 The First Order Riot Control Stormtrooper is equipped with sleekly design Stormtrooper armor and helmet, the iconic baton, a riot shield, blaster rifle, and a hexagonal figure stand with the First Order’s emblem.